Welcome to the new Weston Creek off-leash dog park in Duffy, which is in the design stage and due to be built later this year. 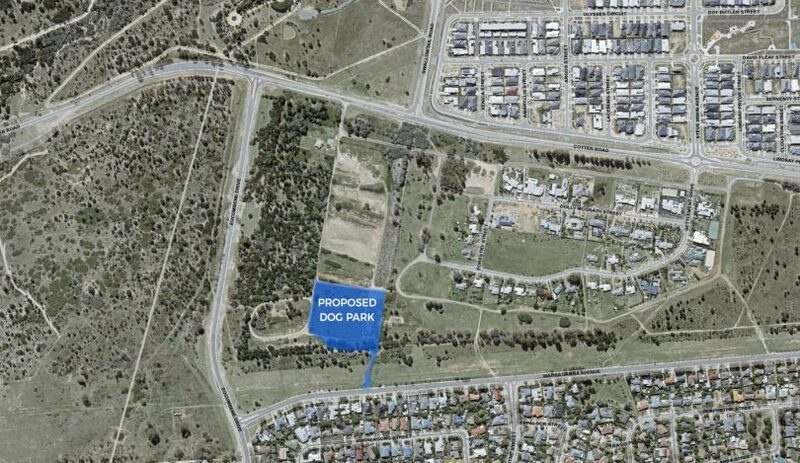 Transport Canberra and City Services said the fully fenced 1.2 hectare site on the corner of Warragamba Avenue and Eucumbene Drive would be divided into areas for large and small dogs. Both dog enclosures will be separated by a fence and include seating for dog owners, a water fountain, a dog drinking facility and trees for shade. New trees will be planted to ensure nearby residents’ privacy and screen the park from view. Entry will be from Warragamba Avenue and a car park is provided. TCCS said the park when completed may have slight variations to the above design. The Weston Creek Community Council said the site was equally accessible to Weston Creek and Molonglo residents, connected to adjacent recreation areas at Narrabundah Hill and Mount Stromlo Forest Park, and was able to be securely fenced and provide a buffer to nearby residents. Belconnen: two new water stations, eight new shade trees and resurfacing of bare-ground areas. Casey: new water station and four mature trees to improve access to shade. Forde: a new perimeter fence, entry enclosure and vehicle access gate for more efficient maintenance. Parts of Forde’s dog exercise equipment will also be removed, based on the advice from dog behaviour specialists. Forde’s existing seating will be replaced with new seats. 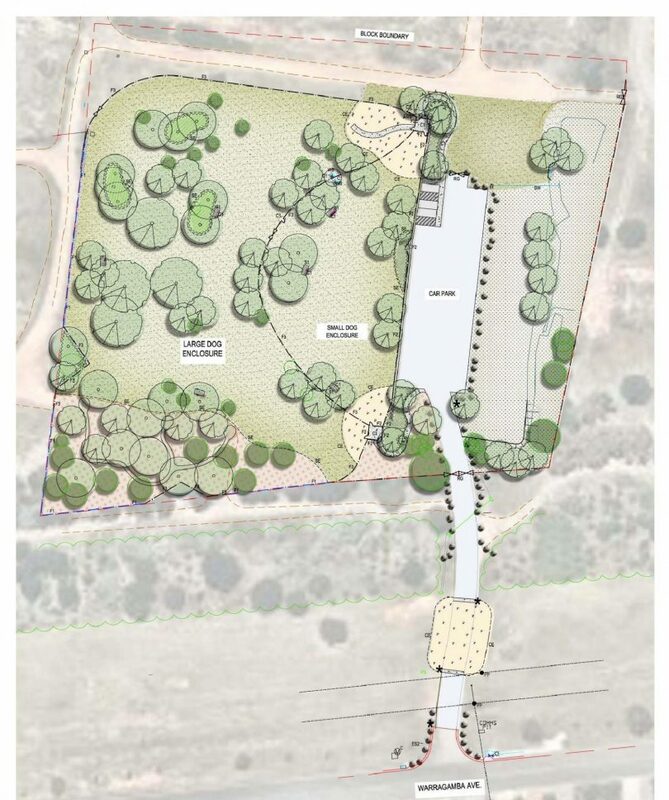 Tuggeranong: a new entry path will be constructed, which will include screen planting to reduce conflict between the small and large dog enclosures. Tuggeranong will also have two new water stations and 10 new trees to improve access to shade. Yarralumla: remediation of erosion, better fences and entry enclosure and two new water stations. O’Connor: 11 new trees to increase access to shade. Does anyone know when the park will be opening? ?